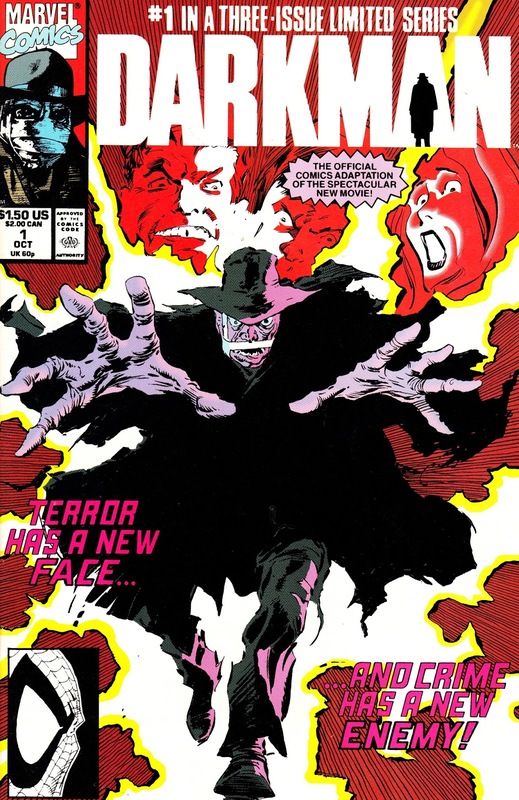 From October/ November 1990: Marvel's three issue adaptation of the horror/ superhero hybrid movie DARKMAN, co-written and directed by Sam Raimi and starring Liam Neeson. Despite a distinctly b-movie feel, this seemed to enthuse both audiences and critics and had a fair amount of mainstream success. 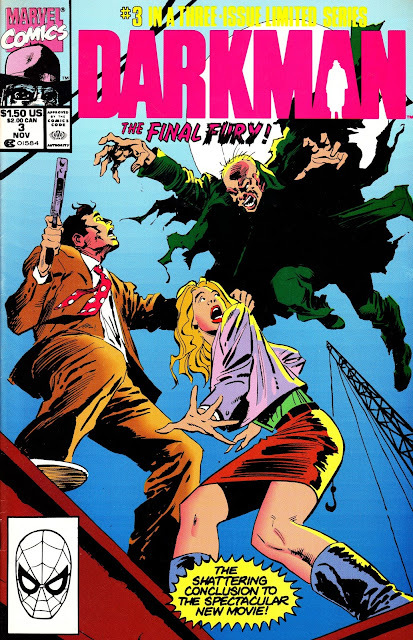 Marvel was one of the original licencees and timed these three issues (and a black & white magazine version) to coincide with the big screen release. Buoyed with initial success, they then followed up with a second series of new stories. 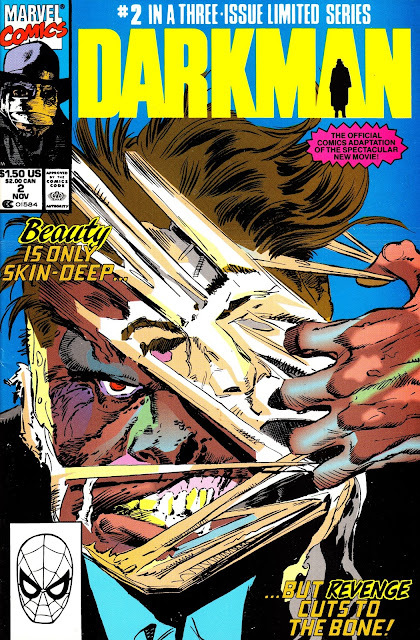 That hit three years later (no rush) and ran for six issues. Universal bankrolled a TV pilot in 1992 but couldn't find a buyer for a weekly series version. Direct to video sequels inevitably followed.